A couple weeks vacation spent in Greece is enough to fall in love with this country, once and for all. Its soft climate is so good for your health and its Mediterranean cuisine, famous all over the world. Its unique landscapes are a picturesque combination of mountain ranges covered with thick pine forests and still water of azure sea and its snow white beaches lined up with sun umbrellas made of straw look so inviting on a hot day- all those things look very attractive not only to real connoisseurs, but also to specialists of good property. Current property prices in Greece are relatively low compared to those in some other European countries, making Greece very attractive for capital investment. Besides, living standards here are much higher than, let’s say, in Bulgaria or in Montenegro, while the crime rate is extremely low. You won’t have to worry about your children: they will grow up in a safe environment. Safety and serenity are among those numerous things people look for and find in Greece. 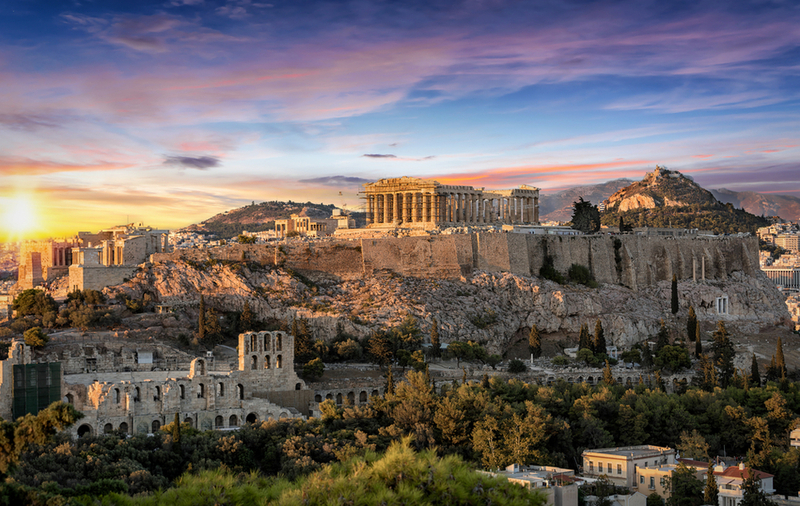 If you decide to buy a house in Greece, its ancient monuments and ruins lost between old olive trees will help you recollect the country’s rich history that you remember since your school years. Greece consists of 13 regions which are called peripheries (which means, distant area). Its largest periphery, Macedonia, is located in the north of the country. Peripheries, in their turn, are divided into noms, their total number amounts to 52. For example, if you buy property on Chalkidiki Peninsula which is a popular tourist destination, your property will be located in Chalkidiki nom which borders Thessaloniki nom in the north. Both noms belong to Macedonia Periphery. In Greece, there are three main types of climate: Mediterranean, moderate and alpine. Alpine climate prevails in mountainous areas in the north west of Greece. Moderate climate is typical of eastern and central Macedonia. Summer is hot and dry here, while local winter can be quite cold and rainy. And Greek islands are blessed with Mediterranean climate. You may choose to buy your property in any part of Greece and irrespective of its location you may be sure of the air purity and of the general safe environmental conditions. The country doesn’t have much heavy industry, but Greek agriculture is highly developed. Greece ranks the 3d among the world largest olive producers, and fruits- even cotton is grown here. Greece is a perfect place for family vacations. Lots of people buy property here, because the country offers better conditions for their families and children. Don’t forget that divorce rate in Greece is very low, actually, it’s the lowest among all EU countries. Greeks respect family values, worship children and respect old people. There are only two mega cities in Greece: Athens and Thessaloniki, and up to a half of the country’s population live there. But 90% of Greek land is covered with small towns and villages. As a rule, their houses are not tall, no more than 5 storeys. And sky scrapers are mostly for offices and hotels. If you buy property in Greece, you may increase your life expectancy. Today, the average of life in this sunny country boasts of 82 years for women and 77 years for men. Greeks respect their neighbors and honor their peace. Nobody will wake you up when you are enjoying your siesta (14.30-17.00), but then, during the rest of the day, you will need all your patience to put up with the loud way Greeks express their emotions. In Greece, you will have no difficulty communicating with the locals: almost all of them understand and speak English. When you buy your property in Greece, don’t feel shy to bargain. Bargaining is totally acceptable everywhere in Greece. And now, a few words about each of the regions favored by foreign property buyers.